A small family or group of friends will fit perfectly in this 1 bedroom/1 bathroom unit capable of accommodating up to 4 guests. 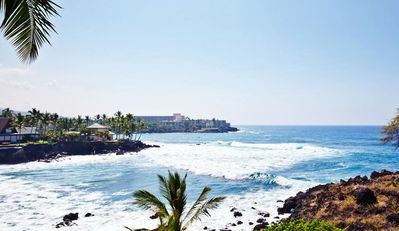 Keauhou Resort #102 resides amongst the Keauhou Golf Course with views of the distant Kona Coast. 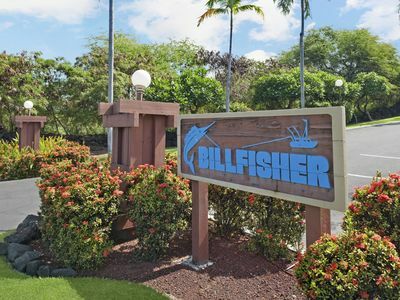 This great location is close to shopping, dining, theaters, and Keauhou Bay is only a short walk away. 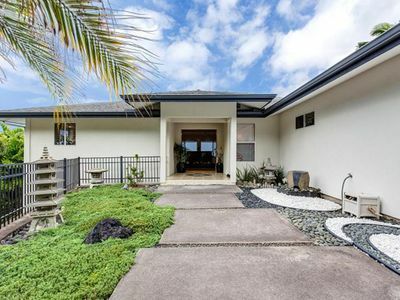 The two-story home is bright and features tropical details in each room. 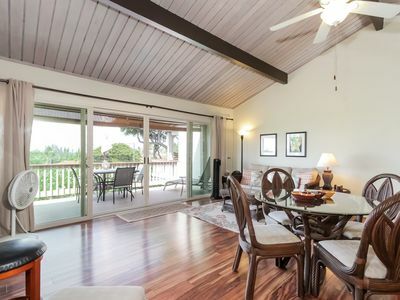 Upstairs is an open floor plan with a kitchen, dining area, and kitchen. 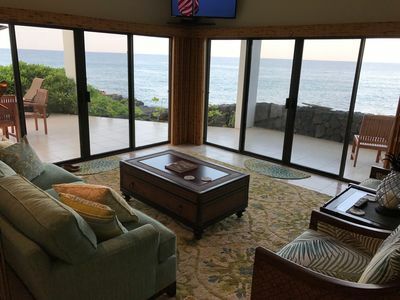 The living room has a couch situated in front of a flat screen TV. The couch also assembles into a sofa sleeper for additional space. 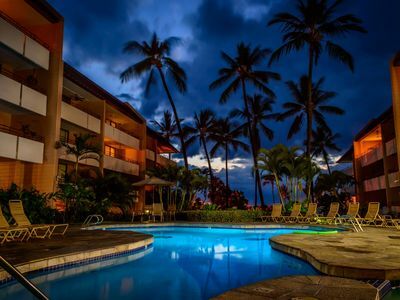 Fans and WIFI are provided to ensure you are comfortable during your stay. Steps away is a fully-equipped kitchen. There is plenty of appliances ready to help a chef whip up tasty meals. 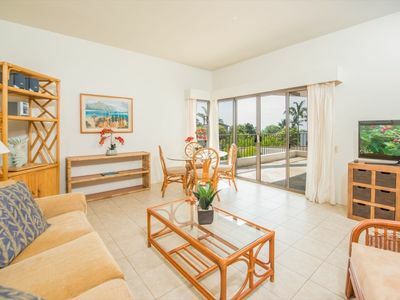 Take your choosing at the built-in breakfast bar for two or the formal dining table with seating for four. 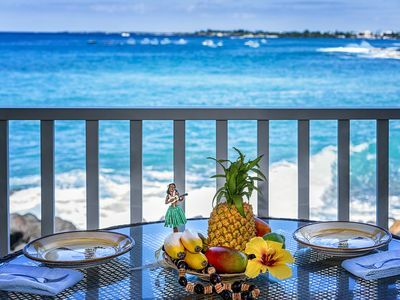 You and your guests will love enjoying a home cooked meal together in front of the private lanai. 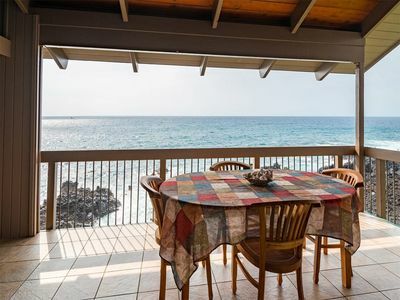 The lanai provides another space to dine while you enjoy the ocean views. 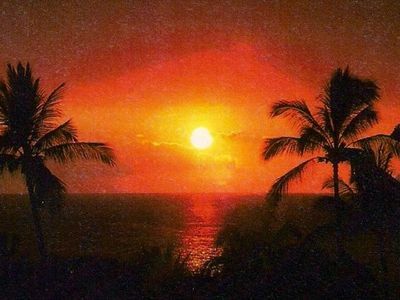 Lounge out here with a tropical drink while you watch magnificent sunsets over the ocean. A BBQ grill is available for an alternative dinner. Downstairs is the master bedroom and a full bathroom. 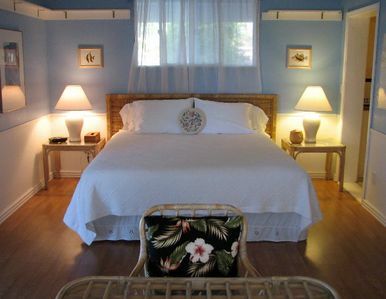 The master bedroom is furnished with a Queen-sized bed, ceiling fan, and storage space. 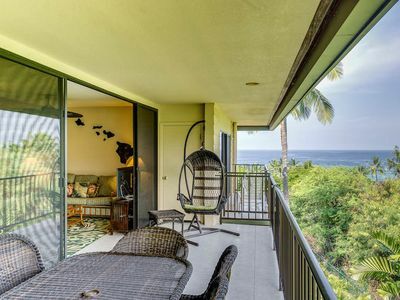 A private lanai is right off this bedroom too. 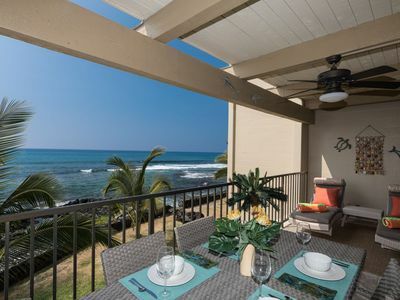 This lanai is shaded by the gorgeous surrounding greenery. Across from the bedroom is the bathroom. There is a separate vanity and a shower/tub combo. 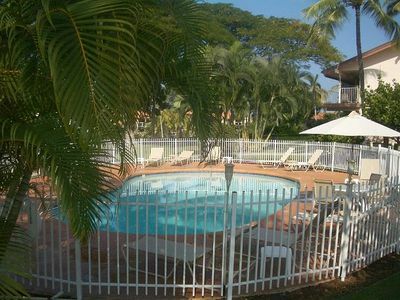 Nestled in the corner is a washer and dryer - handy for tossing any wet swim suits in. 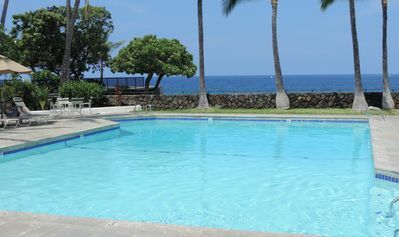 Spacious Retreat in Kona Paradise! 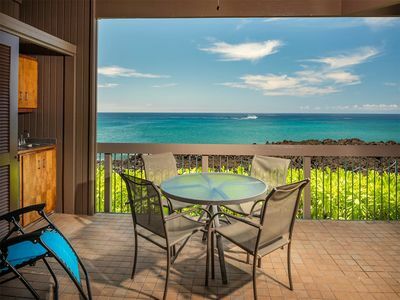 Villa On The Ocean - One Of Largest Condos On Alii Drive. 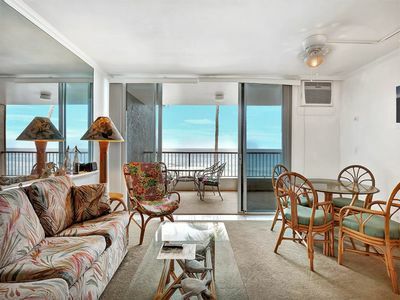 Directly Oceanfront. 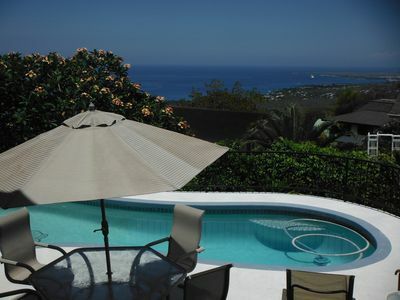 Spectacular Kona Coastline Views With Pool/Spa! 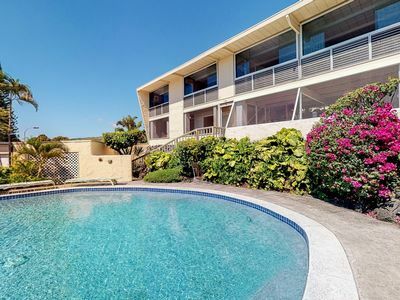 4 Bedrooms! 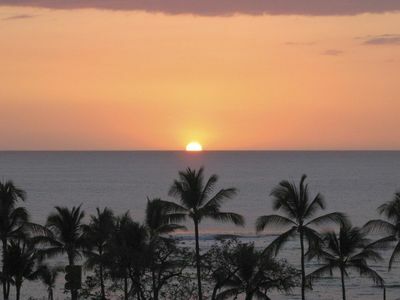 Across The Street From The Best White Sand Beach In The Area! 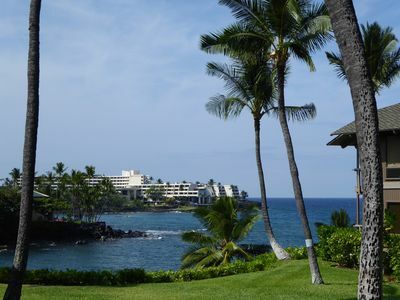 Waterfront Condo in Kanaloa at Kona - Central A/C - Reduced June pricing!